Ed Sheeran: Singer, Songwriter, and Ballroom Dancer?? Sheeran’s video is the third single of off his album, “X” and has close to 3 million views on Youtube. The video has only been released for a little over 24 hours. “Thinking Out Loud” is one of my personal favorites from the album. It shows the real raw quality of Sheeran’s voice, along with a lyrical compositions that show Sheeran’s song writing ability at its prime.The album, “X” or “multiply,” has already sold millions of copies worldwide and is credited with being one of the most popular albums of 2014. Sheeran just finished up his North American tour promoting the newest album. He then popped over to Australia for a few gigs and finally returned home to London, where he was recently featured on the iTunes Festival. (Which if you have not seen yet, DEFINITELY check it out, it’s basically like watching a free concert.) Sheeran is continuing his world tour in the UK and European. The tour will continue on in early 2015. Anyway, back to the music video. Two other videos have been released concurrently with his previously singles, “Sing” and “Don’t.” They both embody the quirky Ed shenanigans leaving the viewer a little puzzled, but accepting it anyway because the songs are THAT good. In his latest video, Sheeran takes a different step to show the true meaning of the love ballad. Sheeran has previously described this song as a “walking down the aisle song.” It is coined as a romantic ballad and Sheeran effortlessly sings the beautiful tune. What really got my attention in the video, is that the man dancing to this intense and complicated choreographed routine is Ed himself. 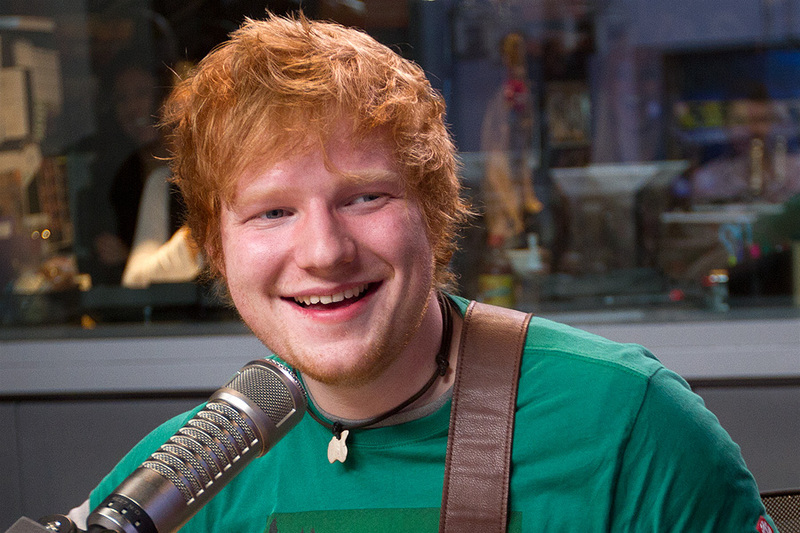 Now this is a version of Sheeran that we have never seen before. He ditched his typical jeans and hoodie for a black tie outfit, showing off his serious game. Not only is the outfit change a head turner, but he also dropped 35 pounds for the shoot. (His main secret to the weight loss he said was simply foregoing beer and replacing it with some vodka.) It was one of those double take moments I had to really make sure it was him when I first watched the video. Ed said in an interview with Entertainment Tonight that this is his favorite song from the album. Me too Ed, me too.